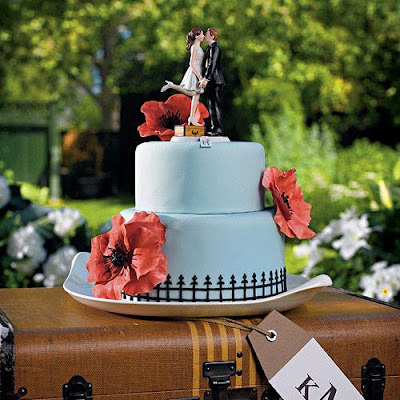 Last week in part 1 of our "Creative Wedding Themes: Travel" blog we talked a lot about decorations and favors. This week our online wedding accessory store continues this adorable theme by getting into the food, drinks, inspiration, and fun gifts that you can incorporate. 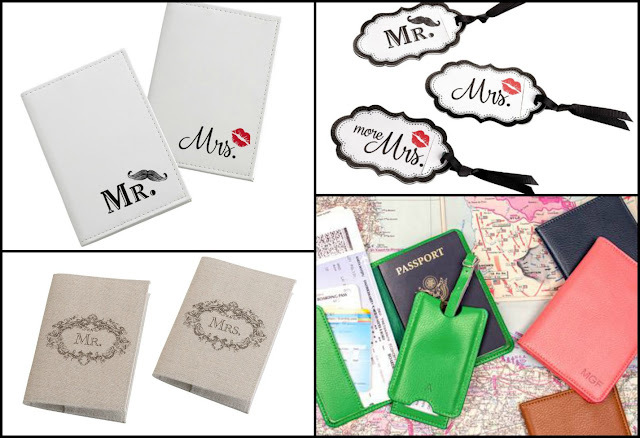 Many of these items you can buy directly from WhereBridesGo.com, and some of these ideas can be done easily on your own or with the help of a local wedding vendor. When it comes to the travel-themed food you can serve at your wedding reception, get inspired by dishes from the places you have visited, or hope to visit in the future. Each course can even represent a different place if you like. If you're feeling crafty, make the menus resemble passports that your guests can fill out as they try each food. The same goes for drinks. 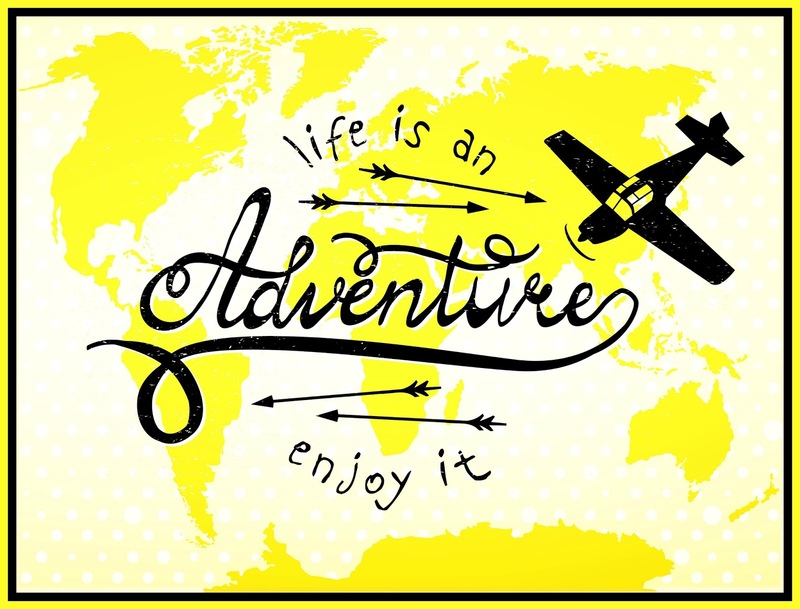 If you have a specific one that your favorite vacation destination is known for, mix that up for your guests. You can also name a couple of specialty drinks with titles that bring exotic places to mind, like a "Blue Lagoon" or a "Moroccan Mojito." Most people will be giving gifts to you in honor of the wedding, but you'll want to find some special presents for the members of your wedding party to thank them for playing a big part in your very special day. 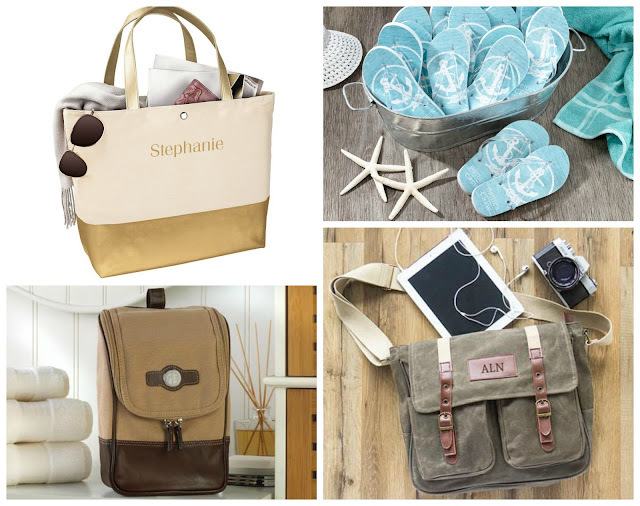 Carry the travel theme over to these wedding party thank you gifts by finding items that will encourage their own spirit of adventure, like a personalized travel tote or messenger bag. Wedding flip-flops are a great reminder for them to get themselves to a beach soon, and they're perfect for tired feet at the wedding reception too! 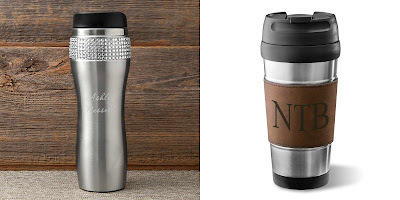 Even something as simple as a travel tumbler for their coffee every morning is a wonderful "get up and go" gift. Don't forget about yourselves too! 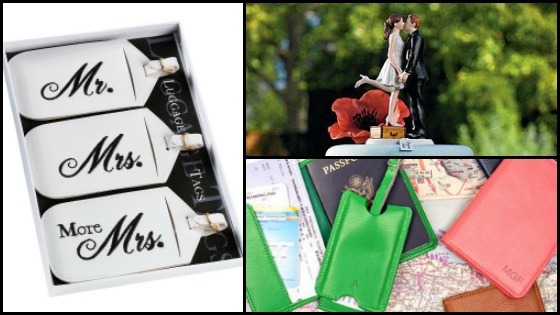 First of all, you've got a honeymoon coming up, and most likely all of your old luggage tags have a maiden name on them. 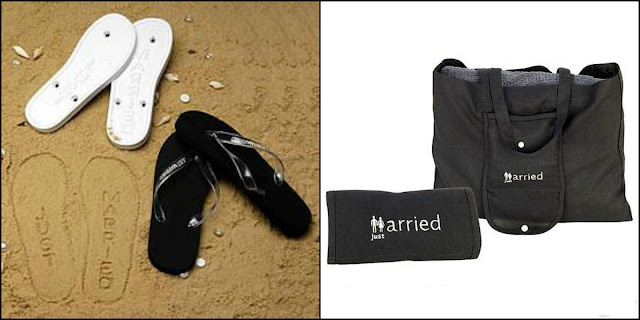 Pick up some new ones that will let everyone know you are the happy new Mr. & Mrs. WhereBridesGo.com even has some really cool flip-flops that announce your new marital status everywhere that you walk in the sand. If you'll be traveling out the country, matching passport covers can be a fun addition to your packing list. You can also pick up a couple of cute bags to throw a few items in while you're out exploring each day. No matter what type of theme, color scheme, or style that you decide on while you are planning a wedding, you can find nearly everything that you will need to pull off an amazing celebration at our online wedding store. From invitations to decorations to gifts for everyone at the wedding, our site is Where Brides Go... for What Brides Love!